Description: Christie's, London, 1998. First Edition, Pictorial Card Covers, Illustrated by: Photo's. 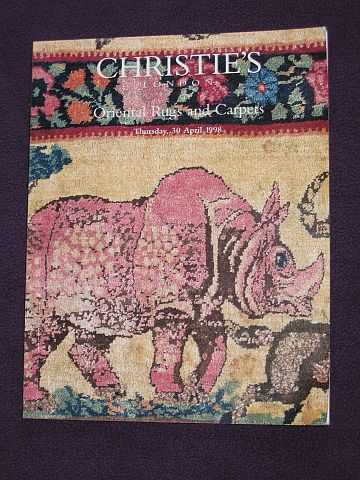 Very Good/N/A.. Christie's Auction Sale Catalogue illustrated by 193 beautiful colour photographs of the auction lots; other than a small crease across the top outer corner of the pages this has no faults; an unmarked copy; 133 pages plus index, adverts, etc. Size: 4to - over 9¾" - 12" tall. Illustrator: Photo's. Quantity Available: 1. Category: Antiques & Collectibles; Antiques; Furnishings; Interior Design; Art & Design. Pictures of this item not already displayed here available upon request. Inventory No: TQS00006.